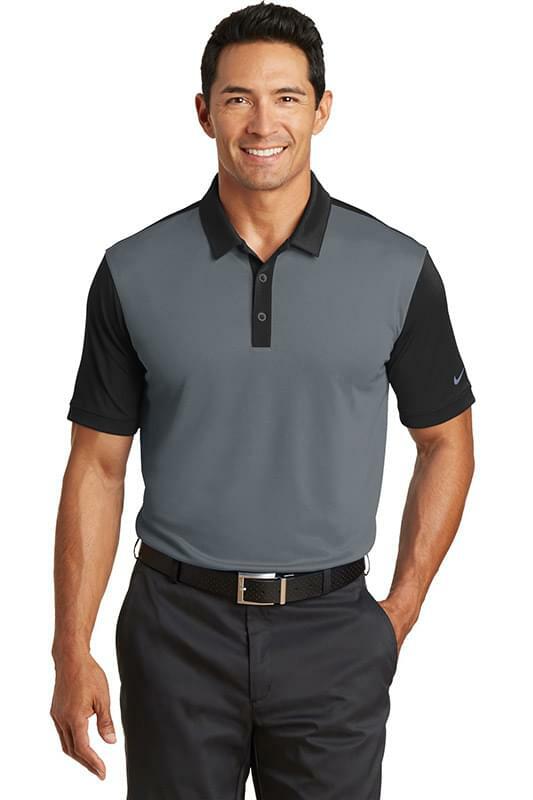 Inspired by styles worn by top Nike Golf athletes, this polo has a bold contrast collar and sleeves for immediate impact. Dri-FIT moisture management technology ensures cooler, drier performance. Design details include a self-fabric collar, contrast three-button placket with dyed-to-match buttons and open hem sleeves. A metallic silver Swoosh design trademark is on the left sleeve. 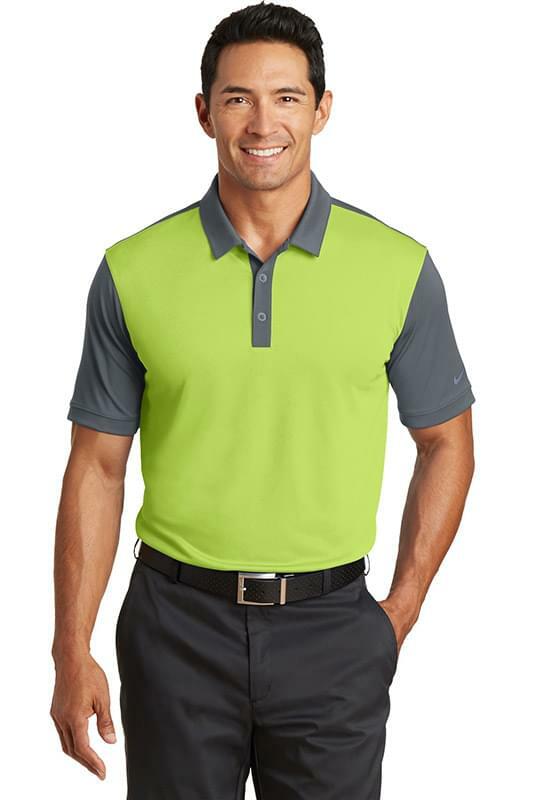 Made of 5.2-ounce, 100% polyester Dri-FIT fabric. Modern fit is slightly tailored through the chest, arms and waist. Need your order sooner? Call our RUSH HOTLINE 406-890-2626 for assistance.